Ladies and gentlemen, Smashed is back! 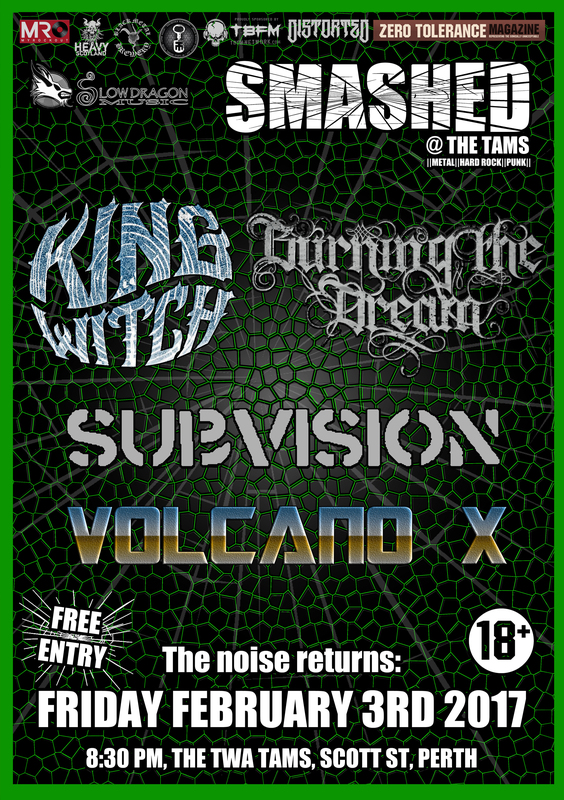 With the second outing for this new project rapidly creeping up on us, the line-up is set; King Witch’s doom with power vocals, Burning The Dream’s addictive extremity, cross-over punk from Subvision, and some good time old schooling courtesy of Volcano X. As we did with the premiere back in December 2016, we’re running a competition where you can win another bottle of genuine Kentucky bourbon… and we’ve simplified the game this time, to make it even easier! Have a look at the video below to find out how to be in with a chance to win! Posted in Latest News and tagged Burning The Dream, King Witch, Smashed, Subvision, Volcano X.